For this cake rescue some bananas which have been lurking in the fruit bowl for a little too long and have reached the overripe stage. I make it often. 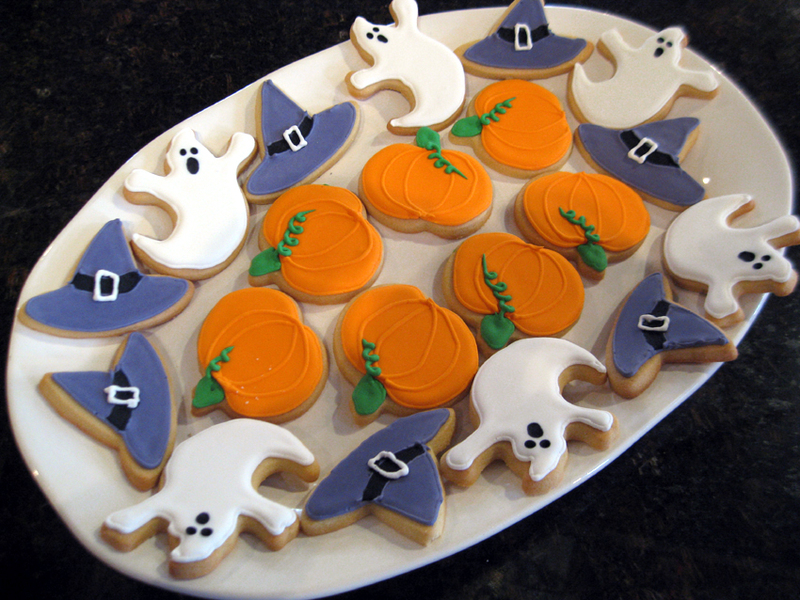 I wanted to create a recipe that was so simple that my grandkids, who love to bake, could easily do it. The oldest two can but the youngest prefers has only got as far as licking the bowl. 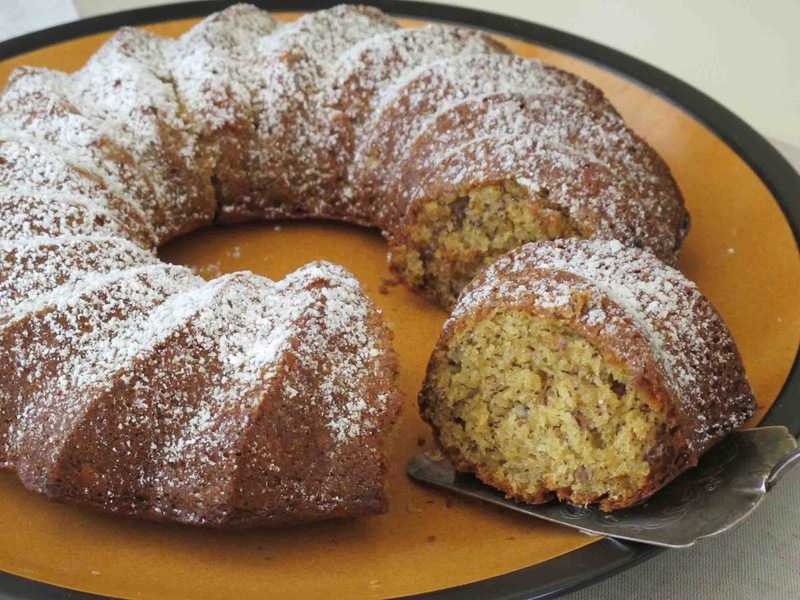 Our favourite bananas to use in this recipe are All Good, Fair Trade bananas. 1 1/2 cups of Selfraising Flour. Sift the flour and the soda together in a large bowl. Make a well in the centre of the mixture and add the mashed bananass, eggs and oil. Bake at 180 C for 35-40 minutes. Buffalo Ricotta with Honey and Toasted Pine Nuts. 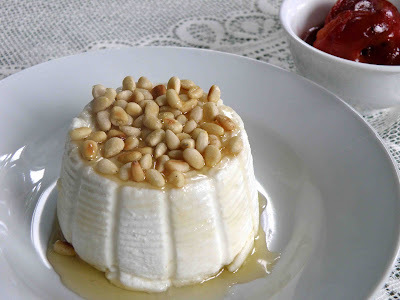 For this delectable dessert made with a Clevedon Valley Buffalo Ricotta cheese I was inspired by Nigella Lawson to simply dribble runny honey over it and then sprinkle it with toasted pinenuts. I partnered it with a bowl of deep crimson stewed plums. Clevedon Valley Buffalo Ricotta is a mild soft cheese with a slightly tangy flavor. It is made from buffalo milk. This special dessert will serve two people. I love to serve large bowls of roasted vegetables.In Springtime I use seasonal vegetables such as asparagus, baby carrots and peppers. Tossed in avocado oil, a little honey, some garlic and with a few sprigs of thyme on top they are delicious. I use New Zealnd Garlic for this . It's more expensive than the important garlic, but being fresh it's more flavoursome. Put honey in a small microwave safe bowl and microwave for a few seconds till it melts.Mix into the oil. Stir the oil through the vegetables. Season with salt and pepper and arrange them in one layer in a baking dish. Scatter a few sprigs of thyme over the top. Peanut butter which has a lot going for it healthwise. It has lots of protein (about 30 percent) and it’s a plant food so there’s no cholesterol which is good for the heart. It also contains folic acid which can help to lower the risk of heart disease. It’s true that it’s not low on calories. A couple of tablespoons add up to 187 of them. But nutritionists now say that if you limit your daily intake to two tablespoons of peanut butter a day this won’t exceed the guideline daily amounts of fat and calories for adults. Combine it with plenty of fruit, vegetables and salads and you’re onto a healthy diet. Perhaps the best thing about peanut butter is that it sticks to your ribs like porridge so you are not tempted to keep on snacking for the next few hours. And let’s face it, it’s the stuff you eat between meals, rather than meals themselves which are the worst offenders. However be warned. Quite a few peanut butters are not 100 percent pure and have transfats, hydrogenated oils, sugar or preservatives added that are not good for your health. So it pays to read the label to find out what’s in the jar before you buy. My favourite right now is Nelson-made Pic’s peanut butter which is 100 percent natural, made from Aussie peanuts, then batch roasted and freshly ground in Nelson . 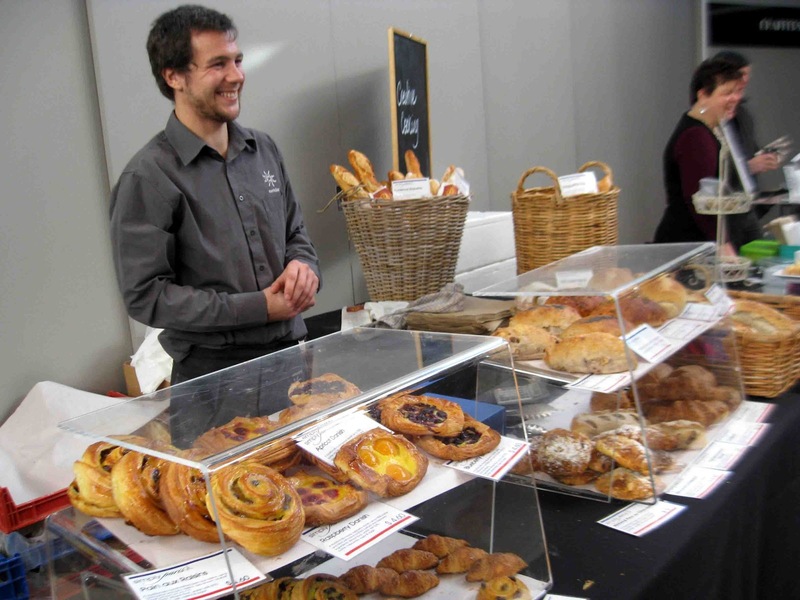 The judges voted it as one of the twelve best Artisan Food Products in the 2010 Cuisine Artisan Awards. It tastes seriously good, and an added surprise is the not so serious poem you will find if you peel off the label. Peanut butter toasties: Spread slices of toast with a mixture of cinnamon, cocoa and castor sugar. Grill briefly to caramelize the sugar. Cut into triangles. ( Optional) Serve with a bowl of thick Greek Yoghurt to dip them in. Sesame Peanut noodles: This tastes good warm but can also be served cold and will keep in the fridge for several days. Good to have for lunch. 1 teaspoon of grated fresh ginger. 1-2 red peppers cut into strips. Put all the peanut butter, soya sauce, sesame oil, honey, rice vinegar and sweet chili sauce into a bowl and microwave for 30 seconds/until honey dissolves. While still warm stir the sauce, julienned carrots and red peppers into the freshly boiled noodles or pasta. When ready to serve sprinkle with plenty of chopped coriander. 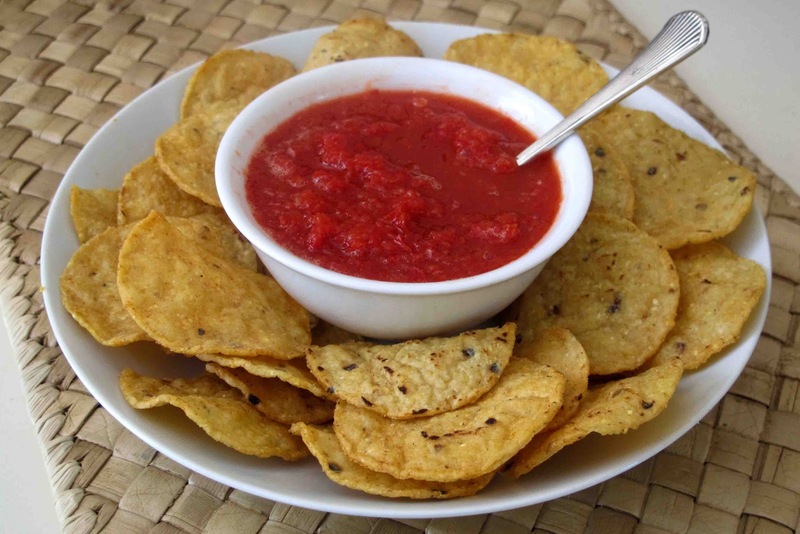 A bowl of this hot Red Pepper Dip with some Chilli and Lime corn chips makes a delicious fiery snack. You can adjust the heat to suit yourself but the quantities I used won't leave your mouth burning for long. If you don't like too much heat you could start with a little less Hot Samoan Boys Chilly sauce and add more as you go. I have used several Asian ingredients here which are readily available at Asian food shops . Palm sugar comes in discs and I found that the easiest way to deal with one was to bash it lightly with a rolling pin. This reduced it to coarse crumbs. The shrimp paste I used was called Kapi shrimp paste. It came in a jar from Thailand. The Chilli and Lime Chips were made by Harvest Natural Foods Limited and are Gluten Free. I made this dip in my mini chopper but it could also be made in a food processor. Whizz all together in several bursts until the mixture is reduced to a coarse paste. Serve with Chilli and Lime Corn Chips. 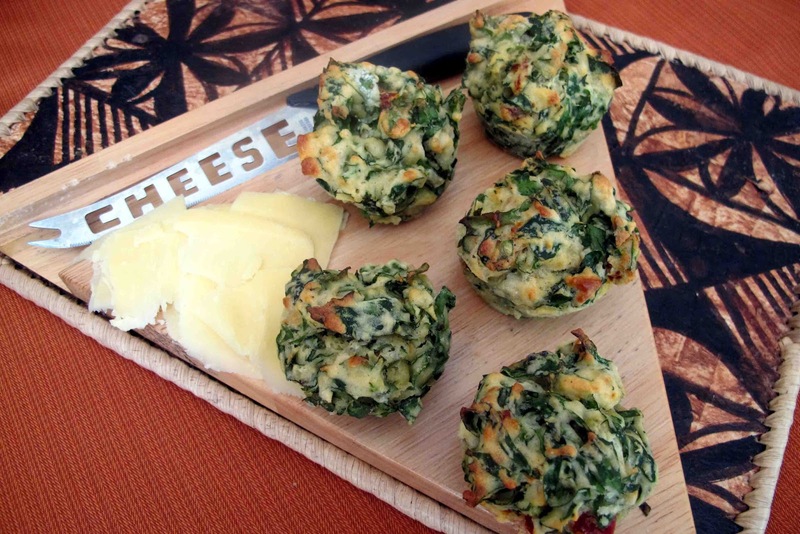 I picked a bunch of spinach out of the garden to make these muffins for lunch.With a splash of Hot Samoan Boys Chilli Sauce, some light coconut cream and tasty cheese they were packed full of goodness.You don't have to precook the spinach for these muffins.After washing the spinach leaves they do need to be well dried and then shredded finely. I made these in silicon muffin pans so there was no need to line them. I simply greased them lightly and they easily popped out. In another bowl pour the milk and oil . Break in the egg and whisk together. Stir the two mixtures together until just combined. Do not overmix. Bake at 200C inmedium sized muffin pans for about 18 minutes ( or 15 minutes for minis) until a skewer inserted into the centre comes out clean. Leave to cool for a few minutes. We like them best warm , halved and filled with a slice of feta or tasty cheddar cheese. Avocado is good too. The minis, halved and topped with a little guacamole would make great party food. I picked some spinach from the garden for this dish in which coconut cream is poured over spinach before baking. I rediscovered this recipe in Digby Law's Vegetable cookbook, a golden oldie which was first published in 1978. The real Palusami is a Samoan dish in which taro leaves are wrapped around corned beef. But, unless you happen to grow it yourself, taro is hard to find so spinach makes a good alternative. Without the corned beef it makes a healthy vegetarian dish. I have changed the recipe slightly to make it lighter by using light coconut cream and halving the sauce recipe.And instead of chilli pepper I added a splash of my favourite Hot Samoan Boys Chilli Sauce. Rinse the spinach leaves well , give them a shake and then cook briefly till wilted. You will not need to add water as enough will still be clinging to the leaves. Put the spinach in a small greased ovenproof dish. Mix the coconut cream, chopped onion and lemon juice. Make a hole in the centre and pour in the coconut cream mixture. 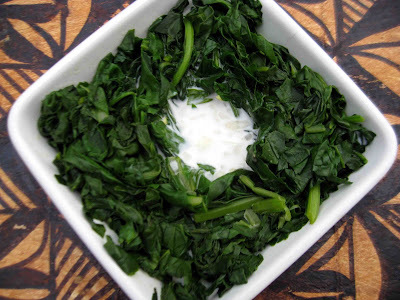 Before serving whisk the coconut cream into the spinach with a fork. This would go especially well with grilled or baked fish. I noticed a pretty Asian Green with tiny yellow flowers called Choi Sum in our local Asian food market. This flowering cabbage has long crisp stalks and fragile leaves. I wasn’t quite sure how to use it so I asked one of the customers. She kindly shared a recipe. Slice 3 garlic cloves (or to taste) finely. 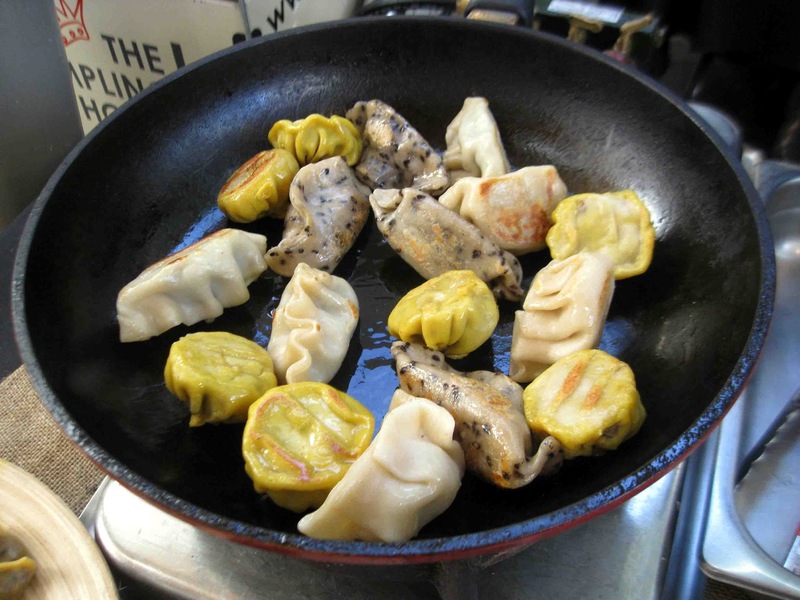 Stir fry in 1 tablespoon of canola or peanut oil until they are golden brown. Stir fry again for a few minutes until the meat is browned and cooked. Chop a bunch of Choi Sum (stalks and all). Add the chopped Choi Sum to the frying pan/wok and stir fry again for a minute or two. Then add salt to taste and its done! “No soya sauce? I asked.” No other ingredients?” It seemed too easy. I bought a bunch of Choi Sum, some garlic, and some organic pork and went home to cook it. And it is a nice homely dish which is cooked in a flash. I managed to take a quick pic of this lime curd loaf just after it came out of the oven and before it was scoffed for afternoon tea. It is moist and has a subtle lime flavour. 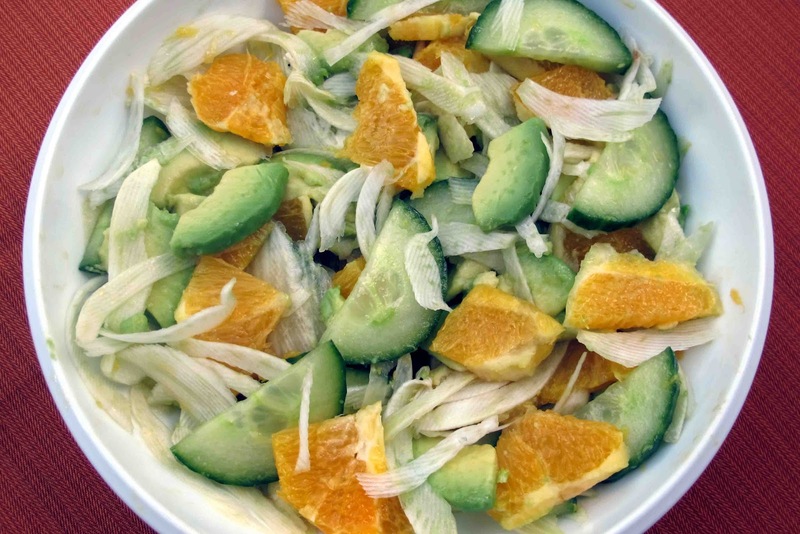 It's a really useful recipe to have on hand as it doesn't require any fresh citrus fruit. If you have a jar of lime curd in the fridge you can easily whip it up. And it's dairy free. I used avocado olivani but you could use plain olivani or any soft margerine. 100 gm of Olivani ( or any soft margerine) I used Avocado Olivani. Beat the olivani and sugar together well. Add the lime curd and stir again. I baked the two small loaves for 30 minutes at 180C by which time they were well risen and golden brown. A large loaf may well take 40-45 minutes. If you wanted to serve this for dessert you could pour some lemon syrup over the top while it is still warm and let it soak in. Or you could use the same batter for cup cakes and ice them with a citrussy butter iicng. Sometimes I also serve it with a small bowl of lime curd into which a little yoghurt has been stirred. But for afternoon tea I think it's nicer left plain. Your wasitline will thank you. 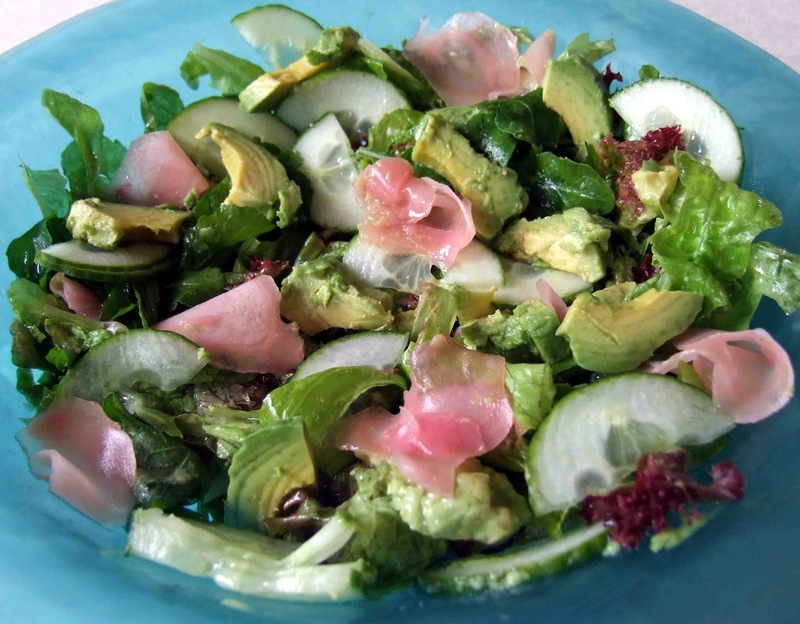 Pickled Ginger, Avocado and Cucumber Salad. Pickled ginger ( gari) isn't just for sushi, it's great in salad as well. 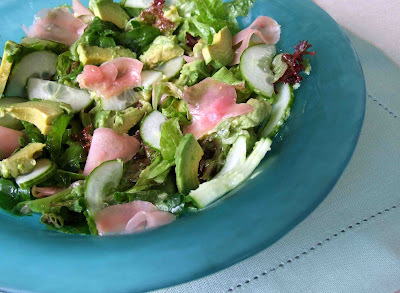 I like to combine it with sliced avocado, cucumber and mesclun salad leaves. And dress it with a dressing made from rice bran oil and rice vinegar. When Aldo Di-Cesare from the Art of Produce in Grey Lynn offered to teach me how to make limoncello I gladly took him up on his offer. He is originally from the South of Italy and this is his family recipe. Many Italian families make their own limoncello at home. On the Amalfi coast in Italy where limoncello originated it is traditionally served ice cold in little pottery cups or glasses as an after dinner drink. It can be served like this or mixed into a cocktail. 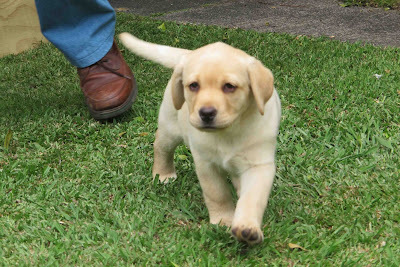 It’s also delicious dribbled over ice-cream and fruit or in a trifle, or sorbet. There are only four ingredients: lemon peel, vodka, sugar and water. And as it doesn’t contain any additives or preservatives like some brands of commercially produced limoncello it’s purer. However it takes 80 days before the lemon peel has fully imparted its flavour to the vodka. If you make it now it will be ready in time for summer sipping and desserts. The origins of limoncello are shrouded in history. Some believe that the first bottle of limoncello came from a monastery where the monks sipped it between saying their prayers. To this day many monasteries still produce it.Others think fishermen were the first to use it as an invigorating early morning drink. But it was not officially registered with a trademark until 1988 by Massimo Canale. From that time on it has become a very popular drink in Southern Italy and is also being exported worldwide. Aldo’s instructions are to grate the lemon peel but as the home grown lemons I used were knobbly I found it easier to pare them with a small vegetable knife, taking care not to include the white pith which would have made the limoncello bitter. The lemons were free but vodka is pricey so for my first attempt at limoncello I halved the recipe. While it matures I have stored it in a dark cupboard and will give it an occasional shake. When it is done it will be decanted into smaller bottles and one will go in the freezer. Homegrown unsprayed thick skinned lemons give the best flavour. Avoid the smooth thin skinned variety available in the shops. Dissolve 4 cups of sugar in 5 cups of warm water. Pour into a large sterilized jar with a lid. Glass is good. Leave with the lid on for 40 days. This will prevent the alcohol from evaporating. After 40 days add another 750 ml of vodka. Again dissolve four cups of sugar in five cups of warm water and add to the jar and seal. Leave for another 40 days. Then strain the mixture slowly through muslin or a coffee filter and bottle your limoncello. You should finish up with 5x 750 ml bottles. Close them with screw caps. Aldo keeps one in the freezer. It’s nicest served straight from there. The liquid should be golden and clear and it should have a tangy lemony flavour. From the freezer it should be a syrupy liquid. If it crystallizes, which can happen, use a little less warm water next time. Roasting beetroot chunks intensifies their flavour and caramelises the skins .To make a colourful earthy salad I added roasted baby carrots, hazelnuts and mesclun leaves and dressed them with avocado oil. Heat the oven to 200C. Roast the hazelnuts for about 5 minutes until they are browned. Gather up in a teatowel and rub the skins off. Cut the beetroot into chunks, Drizzle with olive oil and roast for about 20 minutes until the skin caramelises. Put the baby carrots in a separate roasting side and roast alongside the beetroot. 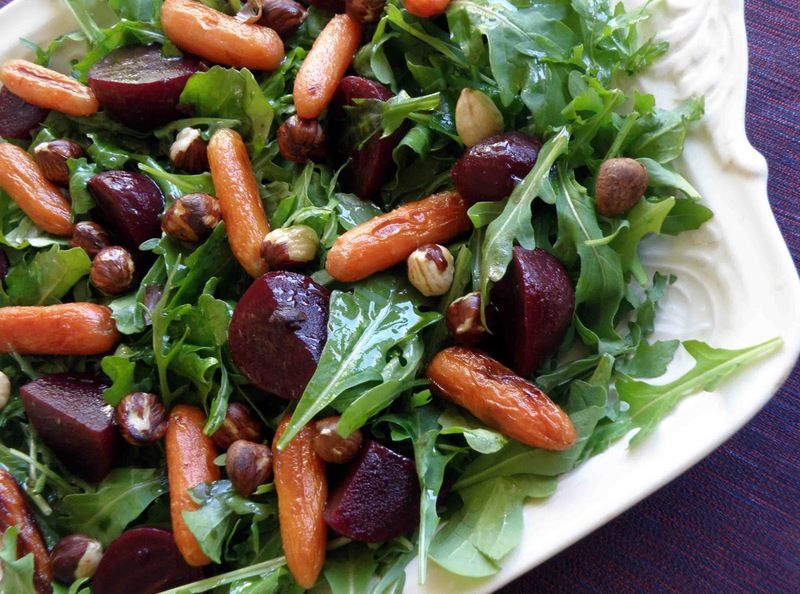 Toss the hazelnuts, roased beetroot chunks, and baby carrots with mesclun salad leaves. Make a dressiing from 3 tablespoons of avocado oil, 1 tablespoon of white vinegar and freshly ground black pepper and sea salt. Dribble this over the salad. 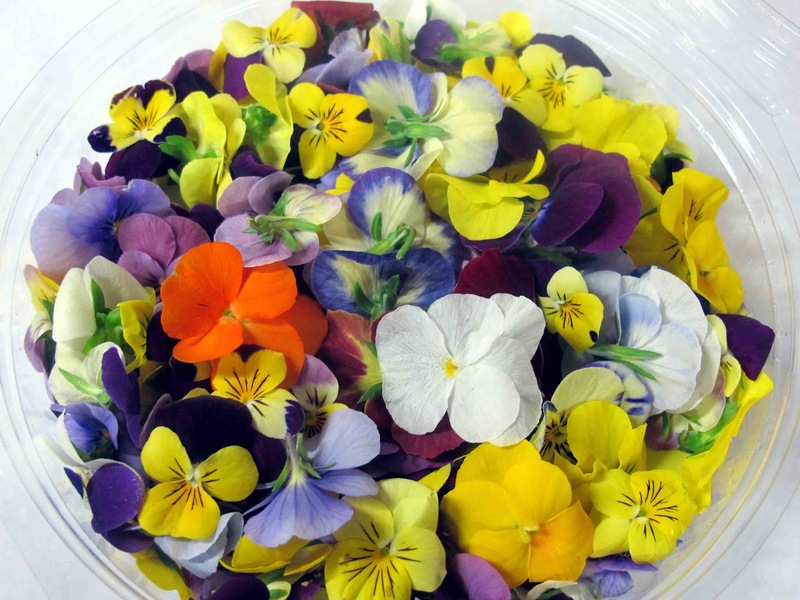 These gorgeous edible flowers came fromThe Art of Produce in Grey Lynn. You may well be able to find some edible flowers in your own garden such as lavender, rose petals, nasturtiums, rosemary and courgette flowers.They must be unsprayed with insecticides to be safe. Prettily scattered over a salad they can turn it into a work of art. My cauliflower and broccoli salad is fast becoming a family favourite as it's so healthy, crisp and colourful. I make it simply by chopping cauliflower and broccoli into small florets, These can be blanched briefly in boiling water or left raw. Then I add some feta, sundried tomatoes, a few capers and plenty of chopped parsley and dress all with a french dressing made with olive oil and lemon juice rather than vinegar. So easy, but so good! I enjoy making these spicy little nibbles . The recipe makes heaps so they are real crowd pleasers. It can be hard to find fresh kaffir lime leaves. If unable to buy them I'd add a little grated lemon rind instead. Not quite the same but still very tasty. You will need an extra kaffir lime leaf, a little coconut cream and chili if you want to decorate the top of each little pudding. 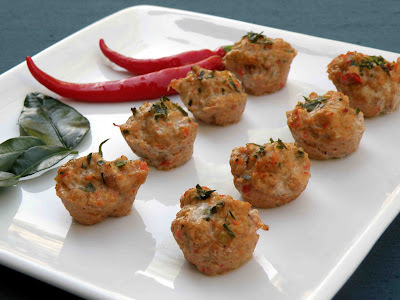 Put lemon grass, Kaffir lime leaves, garlic and red chili in a blender or food processor, and blend until it is a paste. Add the chopped red capsicums and process until very smooth. Now add Thai red curry paste, fish sauce, salt and pepper. With processor running add 200 ml of coconut cream. Add the chicken mince to the paste and blend until combined. Remove from the processor and spoon into lightly oiled mini muffin tins. Dot each little pudding with a dot of coconut cream and some finely-chopped kaffir lime leaf and chili. Bake at 180 degree Celsius for seven to nine minutes until the chicken is well cooked. I baked this luscious chocolate and blueberry cake for a birthday this week. It’s one of those rich, dense chocolaty cakes that are simply irresistible! The blueberries are a special surprise. Don’t let the idea of grated zucchini put you off. They can’t be seen when the cake has been baked but help to keep it moist for a several days. The icing, made from a 200 gram block of chocolate and some sour cream is so delightfully sinful it will tempt every chocolate lover! 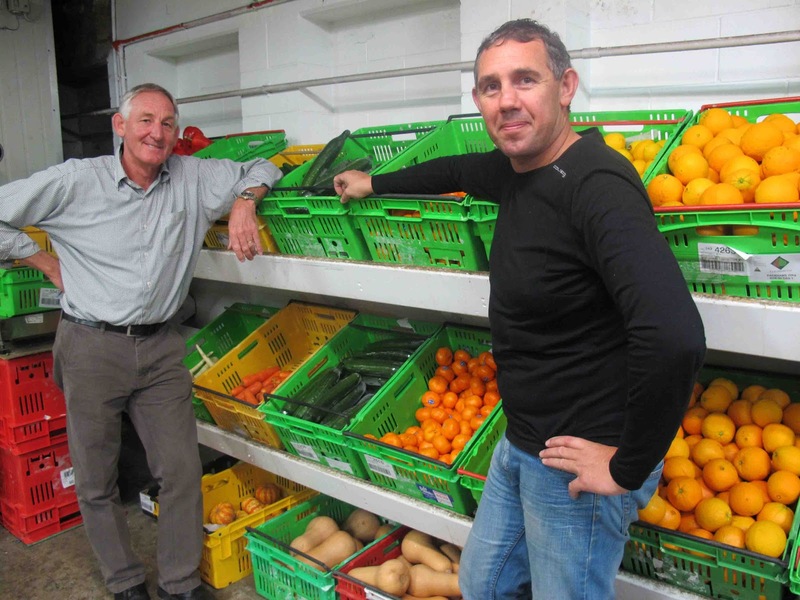 The recipes reflect the local food which comes from the land and the bush as well as the sea. As you might expect from a coastal region there are lots of seafood recipes such as a duet of whitebait, tuatua fritters, creamed paua pastries, scallops on minted pea puree, and smoked marlin pasta. The Isis fish salad makes a great lunch. It is best made with freshly caught snapper, kingfish or gurnard.Roz Tucker created it on a maiden voyage to White island from snapper caught on the way out. A little lemon salt is sprinkled on the fish. It is then very quickly fried and tossed through a salad which contains such ingredients as rock melon, tomatoes, cucumber and snap peas. Over this a dressing made from orange juice, pickled ginger, soy sauce and coconut cream. Light and delicious! There are also chapters on nibbles and starters, barbecues and picnics, wild foods, mains, desserts and sweet treats. Most of these look yummy and are easy and quick to make. For a very special dinner I’d start with the venison and brandy terrine. For the main it would be the eye fillet on kumara rosti. For dessert, the “Berry White Island”, a romantic concoction of fresh raspberries, cream, yoghurt, and crushed meringues. This would also be a great meal to impress overseas guests and a welcome change from roast lamb and pavlova! “Plenty” was designed to be more than a recipe book. The photographs capture the beauty of the coastal scenery as well as the food. 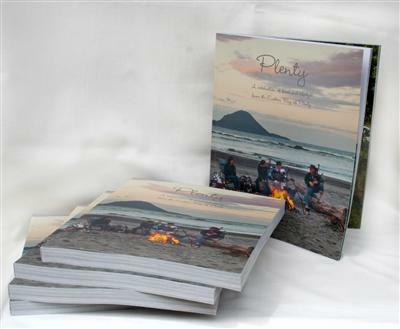 As you leaf through the book you almost feel as if you are at Ohope Beach with sand between your feet, taking a leap into the water from the Ohiwa wharf with the local kids, whitebaiting at Thornton Beach or watching a glowing sunset at Lake Rotoma. Another special feature of the book is the snippets of local history. I loved the tale of how the first kumara arrived in New Zealand in the great waka Mataatua and was planted at Matirerau. The book also recounts how many years later Captain James Cook sailed into the area and discovered how the sea, bays and rivers “abounded with a great variety of excellent Fish,” and mentioned that the lobsters were the best his crew had ever eaten. No wonder he gave it the name of the Bay of Plenty. Just reading about all this great food will be sure to tickle your taste buds, and make you dream of a romantic weekend away .A great place to fish, swim surf or simply lounge on the beach before tucking into a picnic basket or firing up a barbecue. Must do this summer! In a large pot, melt butter and chocolate until smooth. Cream through sugar and beat in eggs, one at a time, with a wooden spoon. Add a little flour to prevent curdling. Add vanilla and yoghurt, and then fold in the flour, baking soda, cinnamon and salt. Finally, fold in zucchini and blueberries and spread mixture into a greased 23cm cake tin. Bake at 170˚C for 45-60 minutes. Cook for 20 minutes longer if using frozen blueberries. Ice when cool with 200g melted cooking chocolate and ¼ cup sour cream. I made this pasta sauce with a bottle of Tuna Gold which I bought at the La Cigale Market in Parnell. But it can also easily be made with canned tuna . Being mindful of the environment I would choose a brand which has been sustainably caught such as Pam's. Tuna gold is both caught and processed locally. Dale Coker and his team catch the tuna from his vessel Pegasus II which is based in Whangaroa Harbour. They use surface long lines and jigs which are both sea bird and dolphin friendly.Once caught the fish is often landed at Opua, and transported directly to the factory in Harura Falls where it is processed by hand into Tuna Gold. It is cut into large cubes, packed into jars, a sauce is added and it is then cooked in a pressure cooker. To make Tuna Gold large chunks of wild albacore tuna are simply packed into glass jars and cooked once. This allows them to retain more of the highly beneficial Omega-3 fatty acids which are reputed to be a miracle food of the 21st century. They are believed to help prevent heart disease, relieve joint pains, improve brain function and stave off depression. Remove garlic and squeeze it. Gently stir in 1 bottle of Tuna Gold. In the meantime boil fettucine until al dente. Pour the sauce over the pasta and toss together. 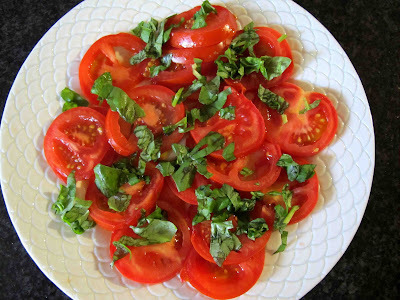 Grate parmesan over the top and scatter with ripped basil leaves. I lined up for a Tasting session by Angelo Tredicucci from Pasta Mia at Ponsonby's Nosh on a recent Saturday morning. As I bit into plump little pillows of smoked salmon ravioli sauced with a mixture of butter, oil, parsley, thyme, and lemon, I was hooked! I went on to sample the porcini mushroom filled ravioli in a reduced cream sauce. Rich, but equally delicious. Pasta Mia simply means "My Pasta". It operates from a small boutique factory in Taupo where they create a wide range of bronze extruded pasta. Recently they have also added a range of fresh pasta sauces made to Angelo's family recipes. So what makes this pasta taste so good? Extruding it through bronze dies results in a rough surface and makes it porous so it holds a sauce better than pasta made by other methods. It is made from durum wheat which is a coarsely ground whole grain flour that has not been bleached. This makes a pasta which has complex carbohydrates, and a low glycaemic index. With the addition of a little egg it gives a perfect mix of carbs and protein - so very nutritional. I bought some fresh Pasta Mia tagliatelli, cooked it for lunch, and stirred in a spoonful of meat sauce. For one person a nest was enough as it expanded considerably on cooking. It was the perfect carrier for the sauce which clung to each pasta strand making each bite very flavoursome. And it did fill me up. I found I didn't need to snack between lunch and dinner. Angelo himself is the picture of glowing good health. So what are the secrets of the healthy Italian diet he, his wife Michelle and two sons eat at home? Eat less meat with your pasta. Instead of 200 grams of meat in the sauce, you could try 50 grams. This is how it is always eaten in Italy, and will still have a lovely flavour. 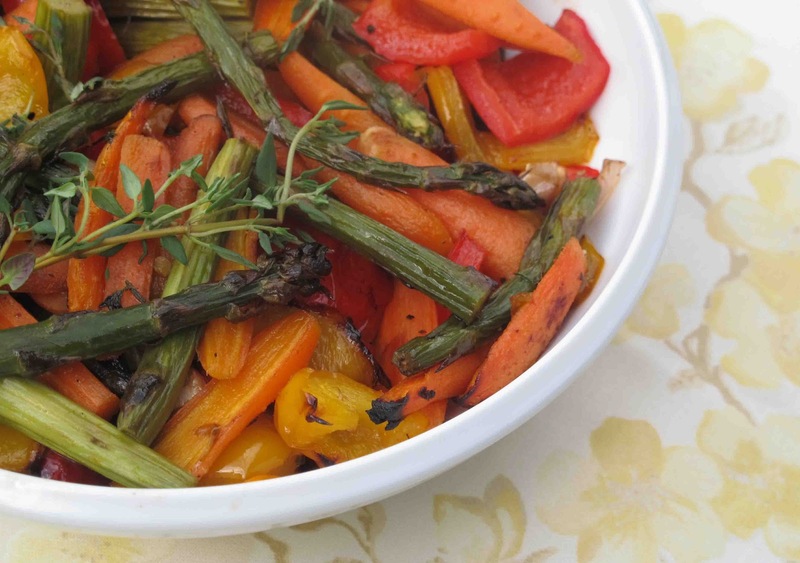 Keep the stress out of weekday meals by keeping them simple and quick to prepare. During the week the family often just eats a pasta dish. For instance if you add a little chopped ham, some mushrooms and a little cream for richness to some pasta you have a very quick and tasty meal. Other veggies can also be added such as broccoli and peas. Or if they do have a secondo (second course) after the pasta, it could just be a plate of thinly sliced meat such as prosciutto and some cheese (so again not much meat). At Angelo and Michelle's home they start with antipasta, a first course (primo) of pasta and then a second course (secondo) of meat and vegetables followed by dessert (dolce). This creates a nicely rounded meal, in which all the textures and flavours come together harmoniously. The antipasto may include salami, New Zealand cheeses, olives, sundried tomatoes and pickles. In the winter the first course (primo) may well be a fresh tagliatelli with mushrooms. And the second course (secondo) could be some braised pork/venison Or they might, instead of meat have a small camembert cheese which is baked briefly so that it puffs up. Alongside some fresh ciabatta, some veggies such as potatoes, kumara, capsicums and olives roasted in a little olive oil and some good wine. For dessert they love tiramisu or panna cotta. The menu changes in summer when they eat far more seafood such as fresh spaghetti with mascarpone and scallops. This may be accompanied by a rocket salad with nice ripe pears and pecorino cheese. Chilled limoncello and gelato is a popular dessert. Angelo sounds almost as passionate about soccer as about Pasta Mia. 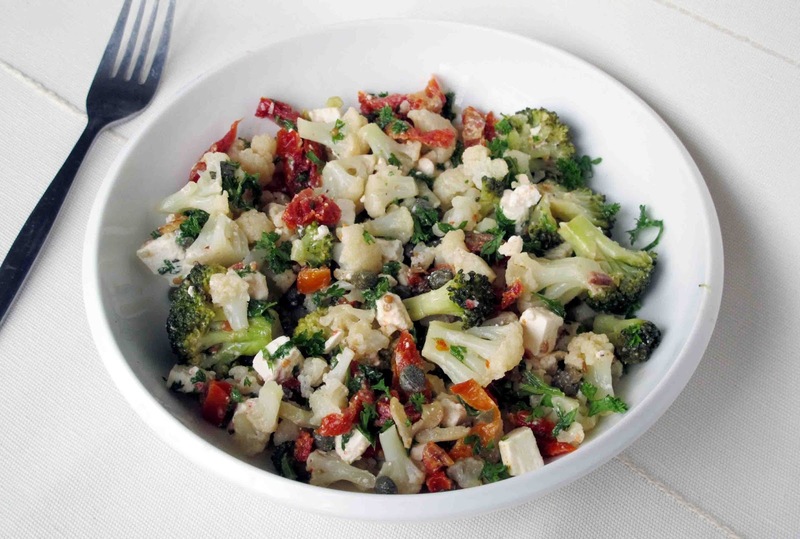 He does find it regrettable that so many sports teams tuck into junk food after the match is over, so he is more than happy to rustle up a huge healthy pasta salad for his son's soccer team instead. Angelo himself plays for the Taupo Soccer Masters. They have won several New Zealand Masters tournaments. What they eat on tour undoubtedly contributes to their success. He is their chef in charge. When they reach their destination they pitch big tents and take big pots. Angelo cooks but all the players pitch in and help to chop the vegetables. They love it! Angelo feels we should celebrate ‘all the brilliant artisan products with amazing flavours which are unique to New Zealand and are adding to the pleasures of our table.’ But he is also looking further afield. He is part of NZ Natural Exports, which provides trade links between the clean green producers of New Zealand and importers worldwide. His ambition? To export Ravioli filled with New Zealand King Salmon or crayfish. Pasta Mia's star may well be about to rise further! The following recipe has been kindly provided by Pasta Mia. To find out more about Pasta Mia, their recipe, stockists and stories visit www.pastamia.co.nz. In a saucepan melt the butter in the olive oil. Then add the fat previously removed from the prosciutto and the onion. Cook on medium heat till soft and golden, then add the rest of the prosciutto with the wine and let evaporate. Meanwhile cook the ravioli for 3 minutes in abundant boiling salted water. Drain pasta and mix with sauce. Sprinkle with grated parmesan. Serve and enjoy! I learnt how to create a barbecue feast for 8-10 guests from Alex Maka, who can be found behind the butcher’s counter in Ponsonby's Nosh and knows how to feed a crowd,. He is half Tongan and his wife is Italian, two cultures known for their hospitality and generosity when it comes to food. It's very useful to have a helpful butcher to turn to for advice on how best to cook meat. Alex suggests the host “choose 3 different kinds of meat to please everyone”. “You want to be able to serve up all the food at once. Timing is everything.” His secret is partially cooking some of the meat beforehand, making it easy to put it all together. This is marbled with fat which keeps it moist and tender as it is cooked. For some extra flavour you can apply a rub to this a few hours before firing up the barbecue, which allows the rub to become moist. Any liquid which forms can be used as a baste when the steak is barbecuing. One of Alex’s favourites is from a tin of Raptor Cowboy Steak rub. Use boneless chicken breasts. Cut a pocket into each chicken breast and insert some stuffing – a mixture of cranberries, walnuts and camembert tastes good. Alex also likes to sprinkle some crushed pistachios over the top to form a crust. Make a small boat shape out of tinfoil for each chicken piece. Arrange them in a flat baking dish, then partially cook in the oven for about 15 minutes at 180C. Finish them on the barbecue, barbecuing only the bottom as you already have a crust. This should only take about five minutes. Bring a saucepan of water to the boil. Once boiled take it off the heat and place the sausages in the water, leaving them to sit for 10 minutes. The sausages can then be put alongside the steak for the last 5 minutes of cooking. When you have fired up the barbecue the steak will take about 10 minutes, depending on whether your guests prefer rare, medium or well done. The chicken and sausages take around five minutes, so all can be ready and served together in a very short time. I like to try out a recipe before I pass it on, so I duly prepared the stuffed chicken pieces - but when the time came to bake them the weather had turned and it was raining outside. I left them cooking in the oven until they were done and served them up in their tinfoil boats. The cheese had melted around the crunchy walnuts and sweet cranberries and amalgamated with the meat juices into a rich gravy. Not quite as delicious as if the bottoms had been charred on the barbecue, but still really tasty. Good to discover that this can be a flexible all-weather dish. To go alongside I would serve hot bread rolls or the perennial favourite, garlic bread; a green salad made with mesclun, cucumber and avocado; and a platter of new season asparagus dribbled with a squeeze of lemon juice, some good olive oil, sea salt and freshly ground black pepper.To follow, the perfect choice would be some new season's strawberries and ice-cream. The biggest mistake a foodie can make is to go to the Wellington City Market on a full stomach. This we discovered recently when we were in Wellington on holiday. We had already breakfasted downtown. Thank goodness we still had room for some tiny macaroons which were scrumptious and some dumplings. 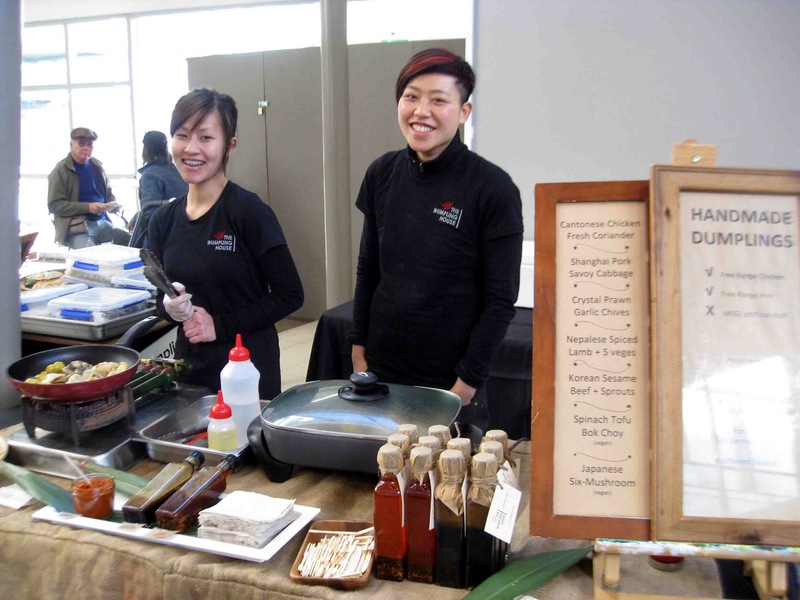 Next time we go to Wellington on a Sunday, when the city market is open, we'll head straight there to sample more of the food! It all looked amazing! 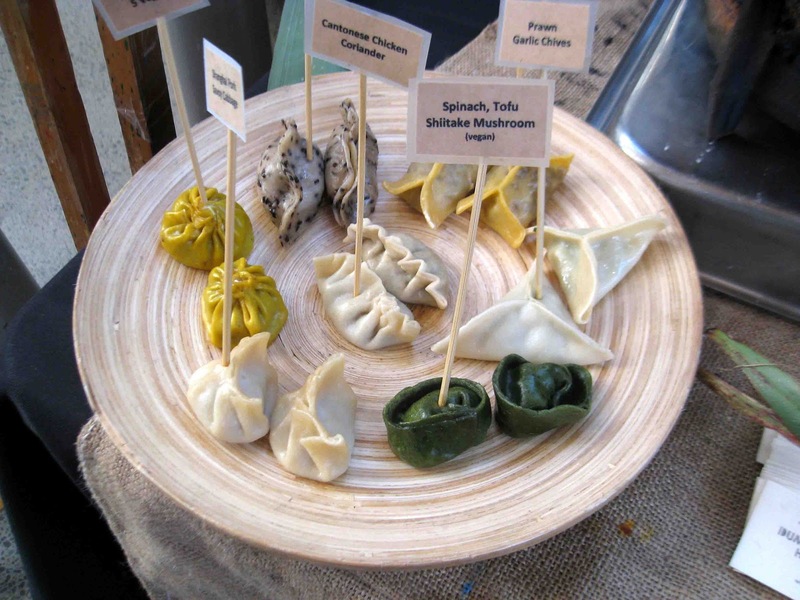 These hand-made dumplings have to be eaten, and not just seen, to be believed. We tasted some of these at the Wellington City Market recently, made in a whole raft of different flavours and colours. The recipe for this yummy apricot slice came from Alison Holst's " Fast and Fun Family Food" which I reviewed when I was the resident TV3 foodie . I have made it often since and can vouch for its deliciousness. • Finely chop the dried apricots and cook them in the orange juice or sherry in a large pot until there is no liquid left. Add the butter to the apricots in the pot, and stir until it melts over a low heat. Add the condensed milk and brown sugar, then heat gently, stirring often, until the sugar is no longer grainy, and the condensed milk is golden brown. • Remove from the heat and stir in the biscuits which have been finely crushed, and the coconut. (The easiest way to crush the biscuits, if you do not have a food processor, is to put them in a large plastic bag, sealed with a rubber band, and bang them with a rolling pin.) Sieve the crushed biscuits and crush any large remaining pieces. • Stir everything together , then press into a 20-cm square tin, which has been lined along the bottom and two sides with a strip of lightly buttered baking paper, or a Teflon liner, and sprinkled with extra coconut, then refrigerate for at least 2 hours before cutting into small rectangles. • Store in the refrigerator to keep the mixture firm. An extract from Fast and Fun Family Food: with food photography by Lindsay Keats. Published by Penguin Group NZ. RRP $35.00. Available at all good booksellers nationwide. Reading Alison Holst’s new book “Fast and Fun Family Food” was a walk down memory lane as I recognised some of the recipes which are published again here, and which have been used in our family over the years. It was Alison Holst who came to our rescue with her “Meals without Meat” (which she wrote with her son Simon) when my children went through their vegetarian stage. When my son left home it was this recipe book he wanted to take with him and I’m sure a well thumbed copy still resides at his house. Her new book is more than a repetition of what has gone before. Some of the recipes have been replaced by easier versions like her pikelet recipe. And her shortbread recipe, unlike an earlier recipe is now without ground almonds. Sadly some of our old favourites have been left out, like her much eaten crustless quiches and her famous Pineapple Christmas Cake. But there are other new recipes to take their place. Alison’s mission is to encourage families to cook healthy meals and to enable children to learn basic cooking skills. And inspired by her zeal many will give it a go. But how will this book go down with my granddaughters, 3 new millennium girls whose favourite foods are butter chicken and sushi and who snack on hummus and rice crackers. No recipes for these are featured here. Luckily these café girls also like muffins and pizza and little cakes so her book will come handy for those. They would I am sure, especially adore making her lamington birthday cake, a gorgeous pink and white confection but I am not sure if I’m up to bits of coconut scattered all over my kitchen as well as jammy fingerprints! Alison Holst could do it with them I’m sure but sadly I lack her organisational skills. We will try out some of her other recipes. They are fairly traditional but I think they will like them as retro is in and they’re up with the play. I may draw the line at her mini hot dogs made from flat slices of saveloys but her alphabet soup would be educational, and I think they will love making her orange juicicles and cheesy dip. With Alison Holst’s book at the ready we’re in for some happy family times in the kitchen, and this is exactly what she had in mind. The layout is clear, the recipes simple and easy to follow and the pictures are pretty. Before too long I may even be able to let my granddaughters loose on their own in the kitchen, as Alison Holst and her sisters were apparently allowed to do as children, and let them cook to their hearts’ content while the rest of us lounge about watching telly. This weekend I cooked some of the recipes from her new book and they went down well. Her lasagne recipe was a breeze to make and the kind of food children like to eat. For dessert I cooked the Berry Buckle, a traditional American recipe. The cake mixture was layered with fruit which sank into the cake as it cooked and it was topped with a spicy crumble topping. We enjoyed it with yoghurt served alongside. Alison placed it in her popular puds chapter but I think it would also be nice for brunch as it is fruity and not too sweet. Once the granddaughters were safely tucked up in bed, and out of the way I quickly made Alison’s delicious apricot slice. I have made other versions of this slice before but hers is the nicest so far, as cooking the apricots in sherry (or orange juice for the kids) softens them and adds to their flavour. And cooking the condensed milk until it turns a light golden brown makes for a delicious caramel taste. Once the slice had been chilled for a while in the fridge, and was firm enough to cut, I made a small platter of goodies for the adults to snack on for the evening. On it went Alison’s apricot slice, a circle of brie, a sliced nectarine, and a little pile of cashew nuts. Alongside we each sipped on a small glass of Muirlea Rise Wine liqueur which had been lurking at the back of a cupboard since 1997 after we had made a brief foray to the vineyards in Martinborough. It had aged well and alongside Alison’s apricot slice made for a very pleasant evening! 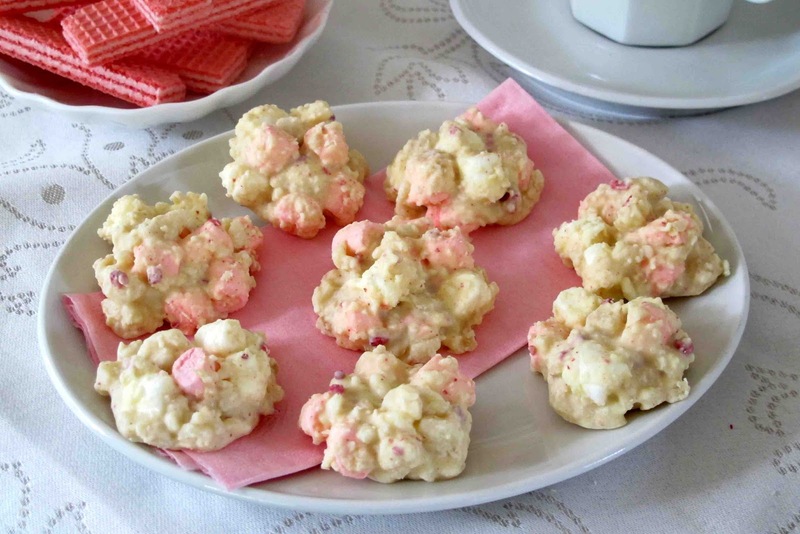 There's a lovely story behind these sweet little treats made with Whittaker's White Chocolate infused with Raspberry. Five girls from Samuel Marsden school who were participating in the Young Enterprise Scheme formed a company called "Pink" and approached Whittakers to help them to raise money for the New Zealand Breast Cancer Foundation. Whittakers were more than happy to support the students' iniative, and decided that the best way they could help out was through creating a brand new product. The result: A white chocolate bar infused with natural raspberry.Whittakers is giving 20 percent from every block sold to the New Zealand Breast Cancer Foundation. They hope to raise a minimum of $25000. You need only 4 ingredients to make these morish white chocolate and raspberry clusters and they are very easy to make. 1/2 block of Whittaker's white chocolate with raspberries. 1 cup of pink and white mini marshmallows . 3 tablespoons of dessicated coconut. 1 small packet (70 gm) of macademia nuts. Whizz the macademia nuts in a food processor or mini chopper in small bursts until they are reduced to small chunks. Melt the chocolate in a ceramic bowl at 6o power until melted. Start checking after 2 minutes and continue in small 10 second bursts after that.It took 2 1/2 minutes in my microwave. Stir the mini marshmallows , macademia chunks and coconut into the chocolate. Put spoonfuls on a tray lined with baking paper. Leave to harden in the fridge for about 1/2 hour. They will easily peel off the paper. Store in the fridge in a lidded container. 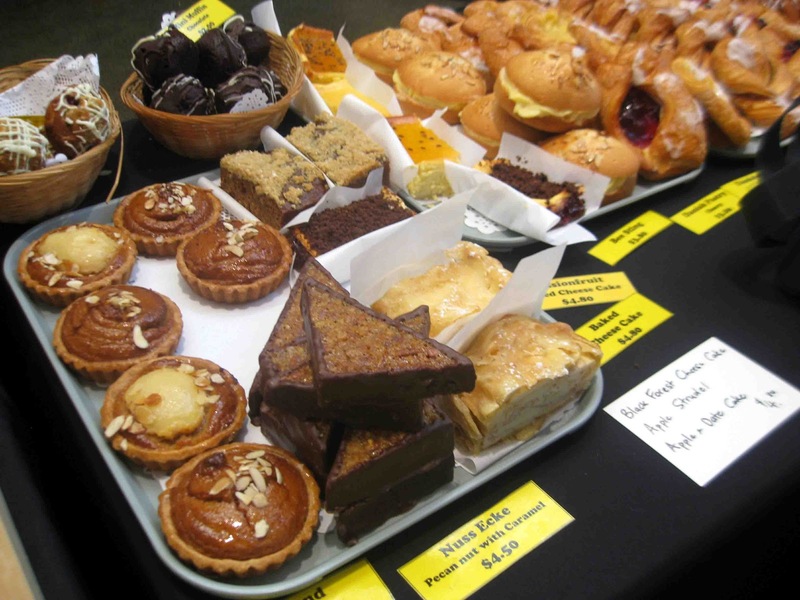 We've just been on holiday in the South Island and discovered some great baking at cafes like Run 77 at Lake Tekapo. Here the cheery bakers could be seen hard at work out the back. 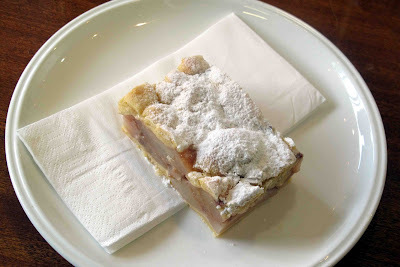 We indulged in this delicious pear slice, which was a shortcake in which stewed pears were sandwiched between two layers of pastry and sprinkled with icing sugar. Chocolate flowers from the Auckland Foodshow this year. 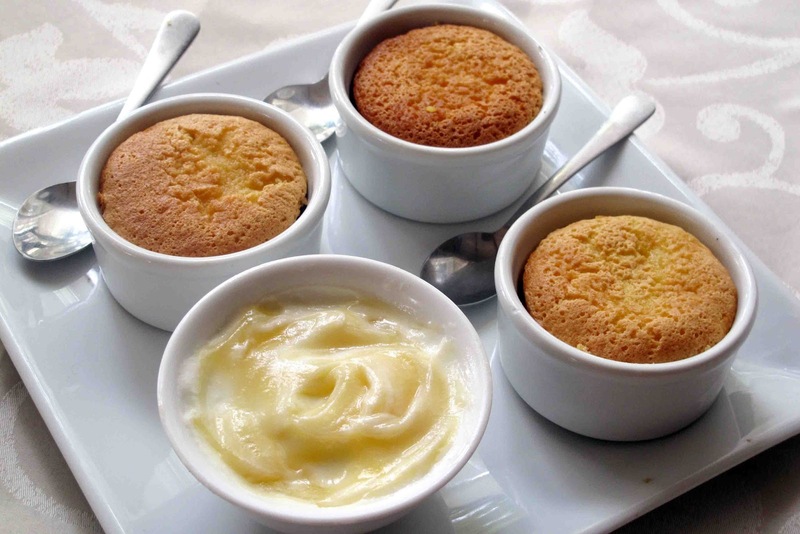 Barker's Lime Curd Cup Cake Puddings. Nine year old Becky my granddaughter loves food and cooking with me. We had already demolished half a jar of Barker's Lime Curd on our toast for breakfast that week but luckily there was still half a jar left.This looked like a promising start for a citrussy dessert. We began the sauce from scratch and she kept adjusting it until she though it tasted just right, with the lime curd coming through nicely but not overpowering the orange juice. We added a little honey to sweeten it. "Perfect," she said. She dribbled some of it over icecream and licked the bowl clean. But I thought it was too runny so suggested another way we could use it could be on little little sponge cakes. We could pour the sauce over them and let it soak in. We baked them in muffin tins, let the cakes cool for a few minutes, then gently eased them out and rested them upside down in small ramekins. The holes were poked in each little cake with a sate stick and a little sauce was poured over. Then we turned them around and repeated the process. This was a no mess method and the moistened cakes were left in the ramekins for serving . I swirled a generous amount of lemon curd through some whipped cream to have with them. When raspberries come into season they'd be nice alongside as well,. Barker's Lime Curd Cupcake Puddings. Heat the honey for a few seconds in a microwave bowl to melt. Stir into Barker's Lime Curd and orange juice. Fold in 3/4 cup of flour and 1 teaspoon of baking powder sifted together. Pour mixture into muffin tins . Leave them to cool for a few minutes before removing them from the tins. Poke holes in the bottom of each cupcake with a sate stick, Dribble a couple of teaspoon of the sauce over each one. Turn them over and repeat the process. Leave them to rest for a while so the sauce can be absorbed by the cupcakes. Swirl a generous amount of Barker's Lime Curd through some cream and serve alongside. Nothing could be easier than this salad. It's one of my standbys. I dress it simply with a good olive oil and sprinkle it with plenty of torn basil leaves.No vinegar or lemon juice. Tomatoes don't really need them. Nice with a cucumber, yoghurt and mint salad and some cold meat for lunch. Some might feel that unless a recipe has a whole lot of ingredients it's not worth sharing. But the easiest ones are often the recipes we come back to most. They do, however, depend on fresh ingredients. 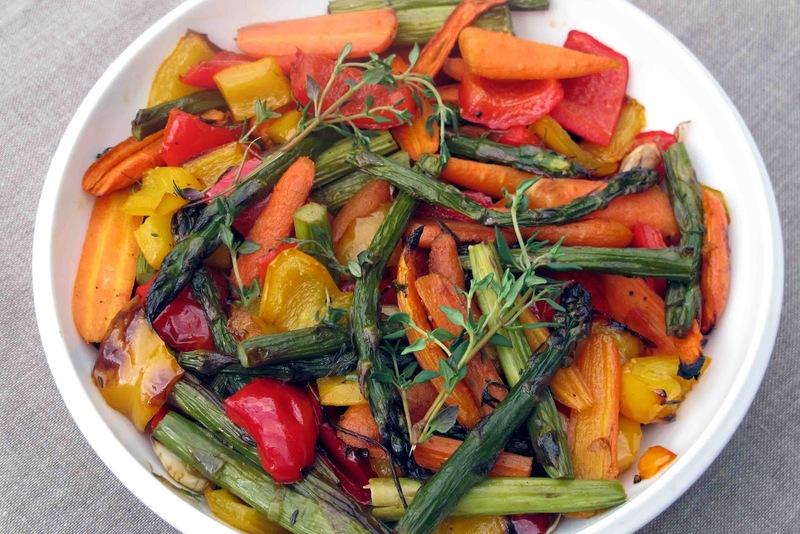 Veggies that have been lurking too long in the fridge just don't work here. I made this salad for dinner tonight. For this I used the fennel bulb, not the feathery leaves. Its anise flavour went really well with that of the tangy orange and the mellow avocado.Fennel was an acquired taste at first, but I am increasingly drawn to it. It is crisp and fresh tasting and will keep well in the vegetable bin in the fridge for a couple of days. This is a rich and luscious but not too sweet dessert. I serve it in small wedges, with strawberries and gelato alongside. Perfect for the dinner party I am planning for tomorrow evening as it will easily serve 10 or 12. It's flourless which any gluten free guests will appreciate. 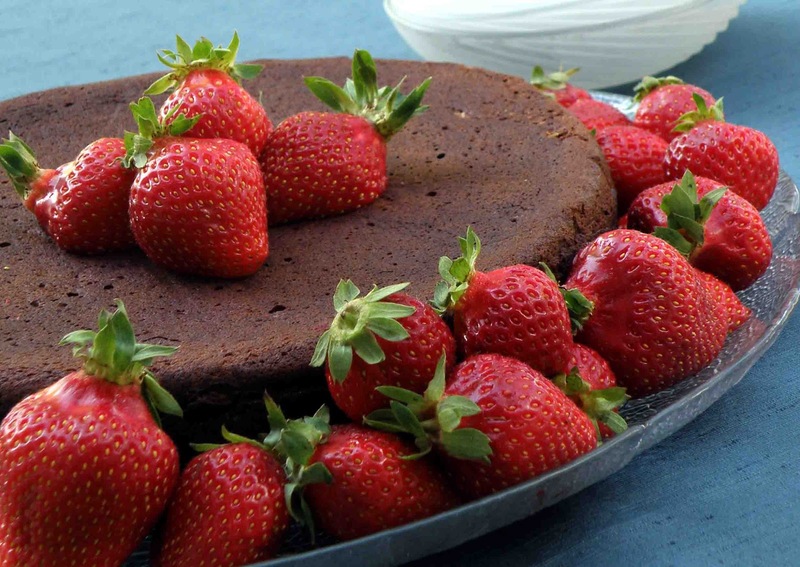 Chocolate Fudge Cake with Strawberries. Chop chocolate and butter and place in a glass bowl over simmering water. When melted, stir in the vanilla and remove from the heat. Stir egg yolks into the chocolate mix and set aside. Beat eggwhites in a clean bowl until they form stiff peaks. Beat in sugar 1 tbsp at a time until you have a firm meringue mix. Take two to three large spoonfuls of the meringue mixture and stir into the chocolate mixture.Then gradually fold the chocolate mixture into the meringue. Pour into a greased and lined 23 cm spring form cake tin and bake at 180 degrees C for 45 minutes. Remove from oven and stand for 15 minutes. Turn the cake upside down and remove the outer tin, leaving the base of the tin attached to the top of the cake. Place a weight (for example a couple of plates) on the top and leave for two to four hours. Remove the weight and base and cut into small wedges. 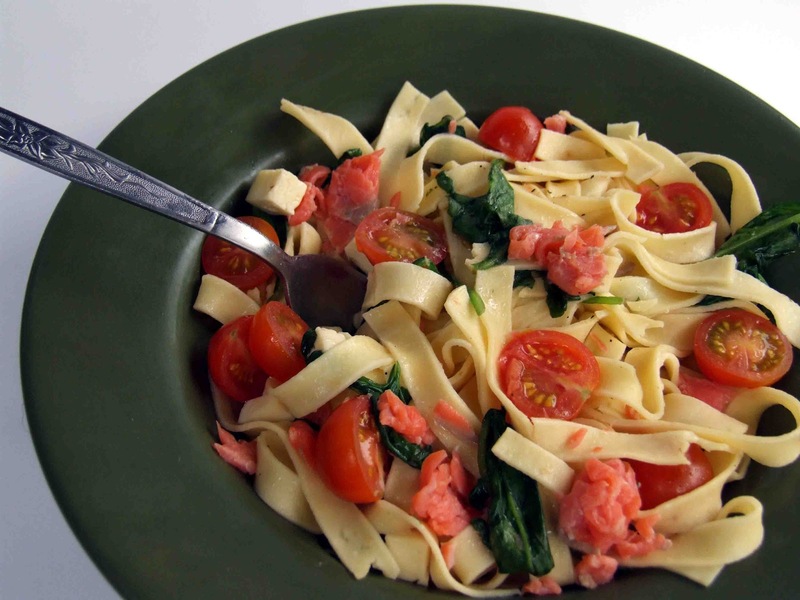 Serve with fresh strawberries and gelato. I’m always on the lookout for gluten free treats as so many of our friends and family members are going gluten free these days. Sarah King’s new Family-friendly Gluten-free Cookbook has lots of quick and delicious gluten free recipes which are not too expensive. Included are basics like bread, scrumptious goodies for afternoon teas like chocolate éclairs and a whole lot of ideas for lunch box fillings. This is her first cook book. Aged 35 she has had a fascinating and varied career including working as a nanny for Pink Floyd’s Rick Wright in London and as a wedding planner. 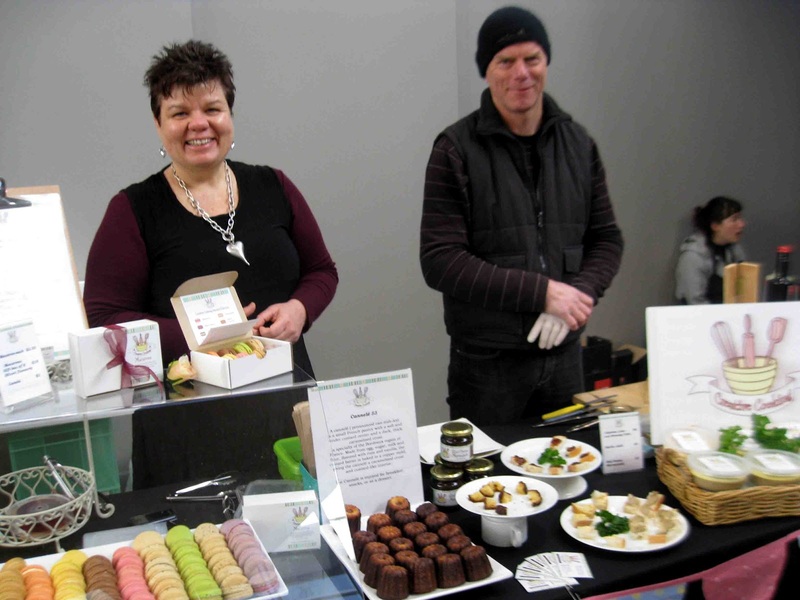 She is now running the Gluten-Free Grocer in Mount Eden with her husband Mitch, and is committed to sharing her knowledge of affordable gluten-free cooking with others. She always bakes gluten free at home as her husband and four children are all gluten and dairy intolerant. Refreshingly honest, she admits that there were years and years of baking disasters along the way, some so bad that even her chickens and ducks refused to eat them. The reality is that a lot can go wrong when baking gluten- free and it has taken a lot of experimenting to create the tried and true recipes which eventually found their way into this cookbook. The main trick to producing successful gluten-free baking is to mix several gluten- free flours in exactly the right proportions and then to bind them together with gum. So it is essential to follow each recipe exactly. Even then there may be an occasional failure. For instance a humid day can cause something that is usually successful to flop. Her advice is not to get discouraged, and to try and try again. Any failures need not go to waste and can be turned into yummy treats like chocolate truffles. My first attempt at baking from her book, the lemon syrup cake, was not entirely successful. The texture was somewhat rubbery. Maybe it was the commercial baking mix I used or perhaps I had not been meticulous enough when weighing the ingredients. I had much better luck with her gluten-free ginger crunch. It did feel alarmingly soft when I first removed it from the oven. But it hardened as it cooled. It was slightly chewier than my usual recipe but covered with a thick layer of delicious gingery icing it was eagerly demolished by all. 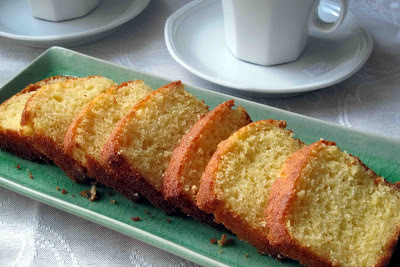 As it is also easy to make this slice it will definitely be one of my standbys for a gluten-free afternoon tea. Bread is a daily staple and Sarah’s yeast-based gluten-free white loaf can conveniently be cooked either in a conventional oven or in a bread maker. Another of her recipes is for a yeast free bread which can be refrigerated overnight and baked in the morning. But you would have to rise bright and early to have it out of the oven before the kids head off to school. Any leftovers can be used make delicious French toast. And if you have children’s lunchboxes to fill every day and they come home after school clamouring for afternoon tea the afghan biscuits, chocolate cookies are sure to become their favourites. 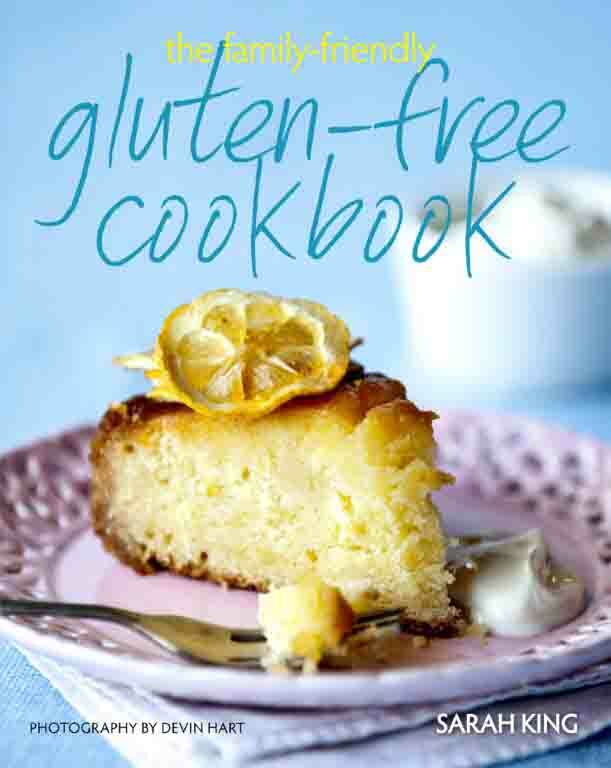 There are a few savoury items such as pizzas, a chicken pie and bacon and corn muffins in this book. But most of the recipes are for sweet treats including a tangy lime cheesecake decorated with fresh tropical fruits. It looks very decorative but should be quick and simple to make. Another recipe which I can’t wait to try is a spectacular looking lemon meringue pie filled with lemon curd and topped with piles of light billowing meringue. 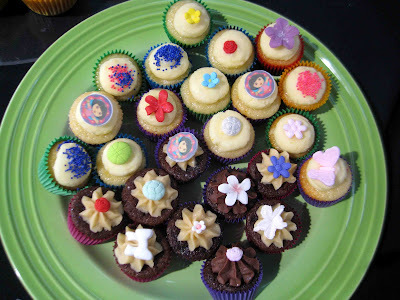 Children’s birthday parties are a special event and Sarah suggests that where there are gluten- free guests it is easier to put only gluten-free treats on the table. Then they will not be tempted to eat the wrong foods or feel excluded. So she has planned a totally gluten- free birthday spread that any kids would enjoy. This includes pizzas, mini sausage rolls, fruit kebabs and an iced birthday cake. And when the kids are in bed the adults can party. If you are planning to cater for a group she has a whole lot of ideas for gluten free canapés, both savoury and sweet. She does add one cautionary note. Don’t forget to check that any alcohol being served is also gluten-free.